TALENT is a 2000 PT3 grant at California State University, Fresno (CSUF). TALENT began its activities in 2000 with a series of weeklong institutes and full day workshops for teaching faculty, university supervisors, and K-12 master teachers who were participating in its credential program. In fall 2001, TALENT piloted its first learning community – a small team of K-12 master teachers, student teachers, and university supervisors who collaborated to plan and implement examples of effective technology use in K-12 classrooms. Based on its success, it implemented and field tested 13 more learning communities in spring 2002 with a total of 51 participants at 5 participating schools. TALENT continues to scale up these activities, bringing the most recent total of learning communities to 13 at 9 participating schools in fall 2002, and an anticipated 20 learning communities at 12 or more schools in spring 2003. Sherry, L. & Chiero, R. (1997). Project TALENT: Infusing Technology in K-12 Field Placements Through a Learning Community Model. 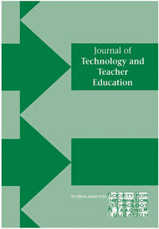 Journal of Technology and Teacher Education . Charlottesville, VA: Society for Information Technology & Teacher Education. Retrieved April 21, 2019 from https://www.learntechlib.org/primary/p/4402/.